Donald Leallison Harshaw was born November 3, 1940 to the late Amos G. Spencer and Velnora Daisy Harshaw in Randolph County. He made his transition to his heavenly home on Sunday May 20, 2018 at the Randolph Health and Rehabilitation Center in Asheboro, NC. Donald received his education at Central High School (class of 1958) in Asheboro, NC. Following his military career with the US Army, he attended ECPI for two years, earning a degree in computer technology. At an early age, he professed Christ as his Lord and Savior, was baptized, and joined Ferree’s Chapel United Methodist Church and remained faithful until his death. He served as a trustee and in the lay ministry. He was employed with Kayser-Roth Corporation, retiring in 2004 after over 30 years of service. In his early years, he played semi-pro baseball and football (while stationed with the Army in Hawaii). He was an avid sports fan, being a huge supporter of Randleman High School football, the Pittsburgh Steelers, and most of all, the Duke Blue Devils (“Go Blue Devils!”). In addition to his parents he was preceded in death by 2 brothers Floyd Spencer and Rodney Eugene Craig. 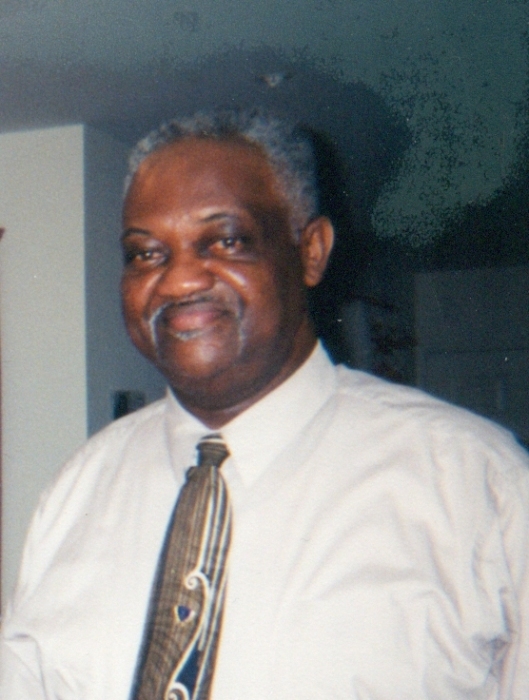 Donald leaves to cherish his memories: loving wife of 52 years Lenette G. Harshaw of the home, 3 sons Donald F. Harshaw of the home, O. Payton Harshaw (T.K) of Cary, NC, Torie M. Harshaw of the home, 1 daughter Kimiki Harshaw Williams (Kenneth) of Virginia Beach, VA, and 1 grandson Ken Williams II; 1 sister Alberta Corpening (Floyd) of Morganton, NC; 3 brothers, Larry Spencer (Marlene) of Clover, SC , Raymond Craig (Patricia) of Stoneville, NC, Amos Spencer of Chester, PA, and a host of nieces, nephews, cousins, and friends. A funeral service will held on Saturday, May 26, 2018 at Ferree's Chapel UMC, 642 S. Stout St. Randleman, North Carolina. The family will receive visitors and friends at 12:30 to 1:00 p.m. at the church. The service will began at 1:00p.m. Burial will follow at Randolph Memorial Park, Asheboro.